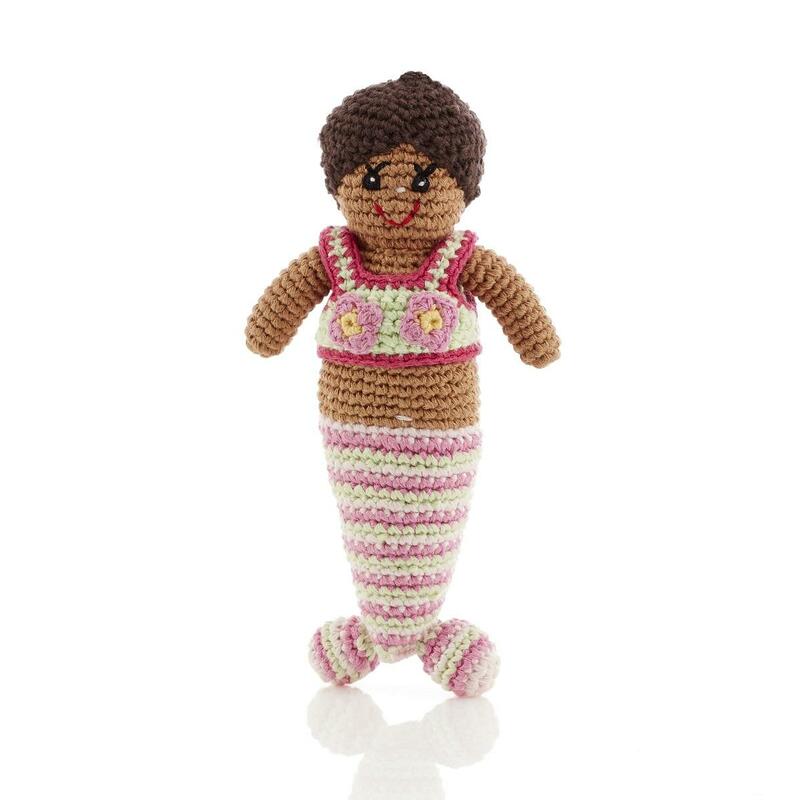 We love Pebble's mermaid dolls and this new Mermaid baby rattle in cream and pale pink is really pretty with her cream and pink tail, brown hair and dark skin. Fair trade and handmade. Suitable from birth.